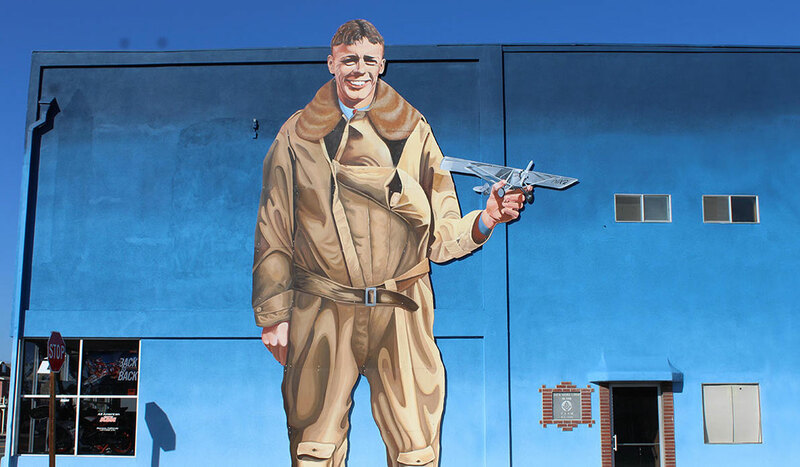 The Lucky Spirit mural of Charles Lindbergh was originally displayed on the commuter building at the San Diego Lindbergh Airport. The artists, John and Jeanne Whalen, purchased it from the Port and sold it to the Ramona H.E.A.R.T. Mural Project. They have refurbished it for display at the corner of Main and Ninth Streets. Look for the H.E.A.R.T. icon in this mural!